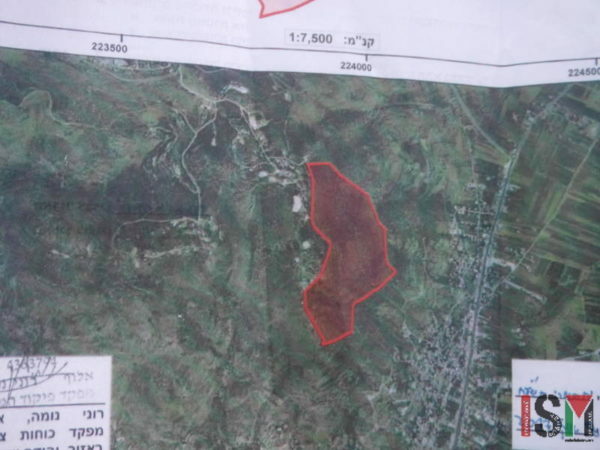 Israeli settlers of Yitzhar, set fires in two places in Palestinian olive fields around their illegal outposts, and attacked a group of farmers a day later, under the eyes of around 30 border police, present at the site. 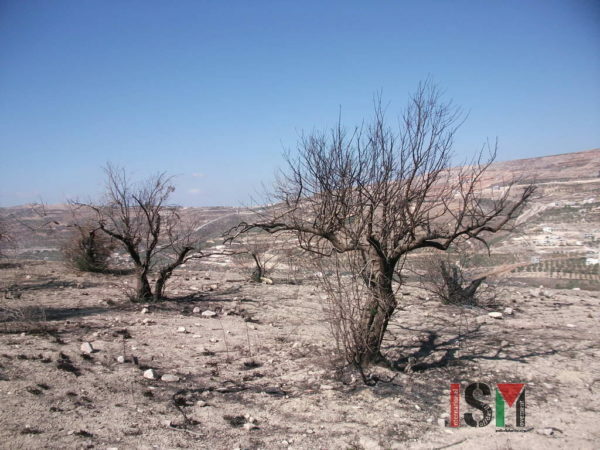 On Sunday 5 November, at about 10 o’clock in the morning, ISM activists saw smoke coming from olive fields on both hillsides underneath an outpost of Yitzhar, the illegal settlement south of Nablus, built on the Hill between the Palestinian villages Huwarra and Burin. It wasn’t the first time this has happened. 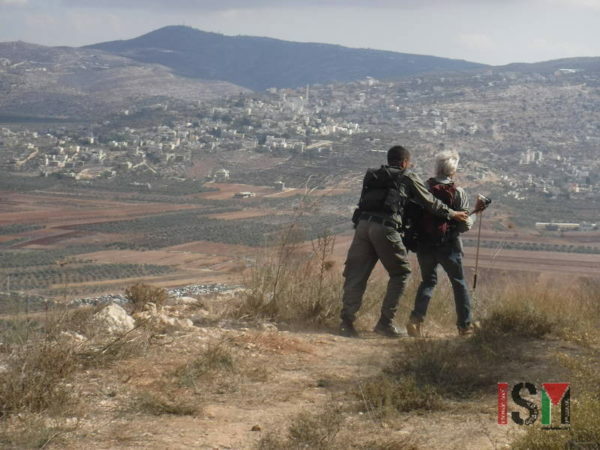 Since the expropriation of the farmland of Huwarra, Burin and Madama, and the illegal creation and steady expansion of the Israeli settlement Yitzhar, violent settlers do anything they can to harm the Palestinian farmers and families without any risk of being punished for these crimes. Attacked in 2016. No sign of life a year later. 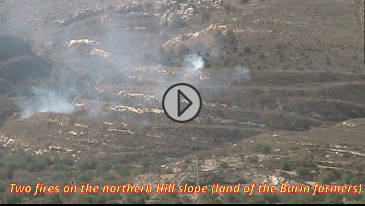 Israel is authoritative for the security in Area-C, and should instead of blocking the Palestinian Fire brigade, fight any fire in Area-C themselves, which it has not done in the 25 year since this authority was agreed on in the Oslo accords. 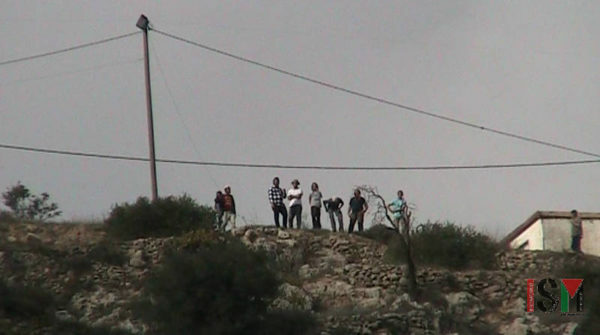 Instead of this, we saw border police, settler security and the settlers side-by-side in the illegal Hilltop outpost, looking at the burning fields. 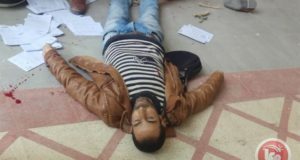 The next day, 6 November 2017 already at 8:30 AM, a group of nine settlers tried to attack farmers and workers who had official permission of the Israeli security authority, to harvest and cultivate the fields of the Owda family, which was partly burned down the previous day. 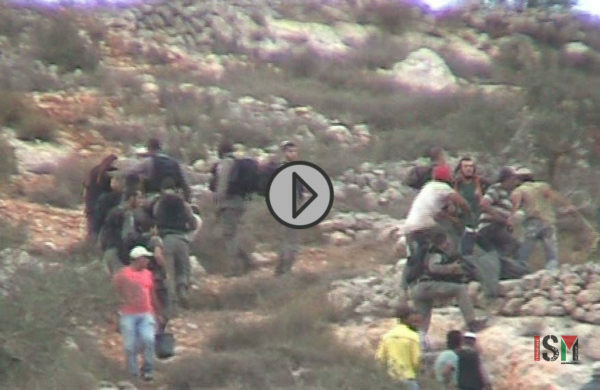 Around 14:30, a group of around 20 settlers attacked the farmers, and most border-police did little to avoid it and arrested none of the settlers. Instead it commanded the farmers to stop their work and quickly leave their land. 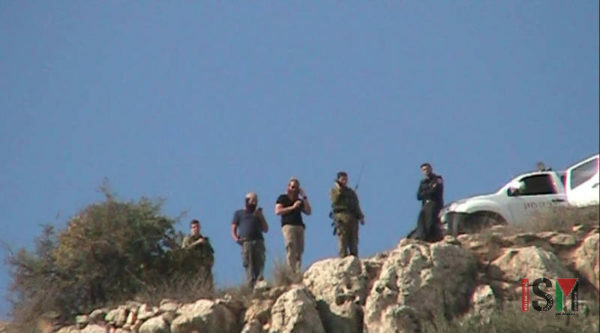 Settlement outpost are illegal, even by Israeli law, although that law may change one day. 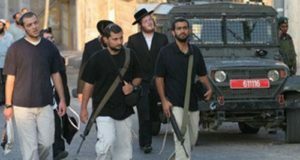 In February 2017, the Israeli Knesset passed a new law to legalize all 4000 illegal outposts. But, the High Court had concerns and postponed the implementation in August 2017. 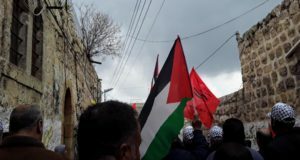 However, if that law ever comes to reality, it would accept these 4000 outposts as new settlements ready to expand, and would give legality to the expropriation of more private Palestinian land, in a clear violation of the Oslo Agreements of 1993.